Our local newspaper, the Shelbyville Times-Gazette, recently featured the story of Don’s last guitar, known around the shop as “the Rotary guitar”. 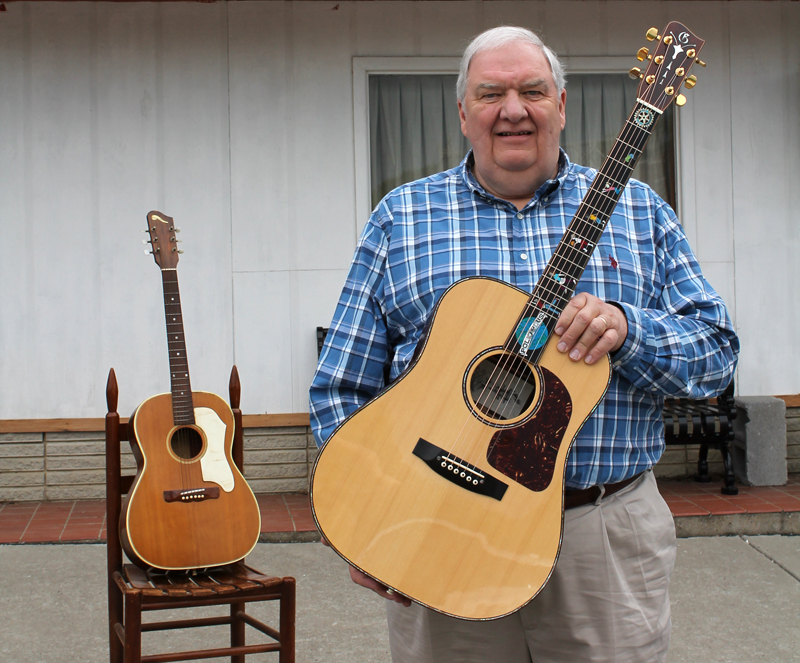 The guitar was made in honor of James L. Bomar, Jr., former president of Rotary International. The fretboard tells the story of the eradication of polio, in which Bomar and the Rotary Club played a large role. Pictured here is Don with that guitar, made in 2014 and his first guitar, made in 1963. Read the full article here.